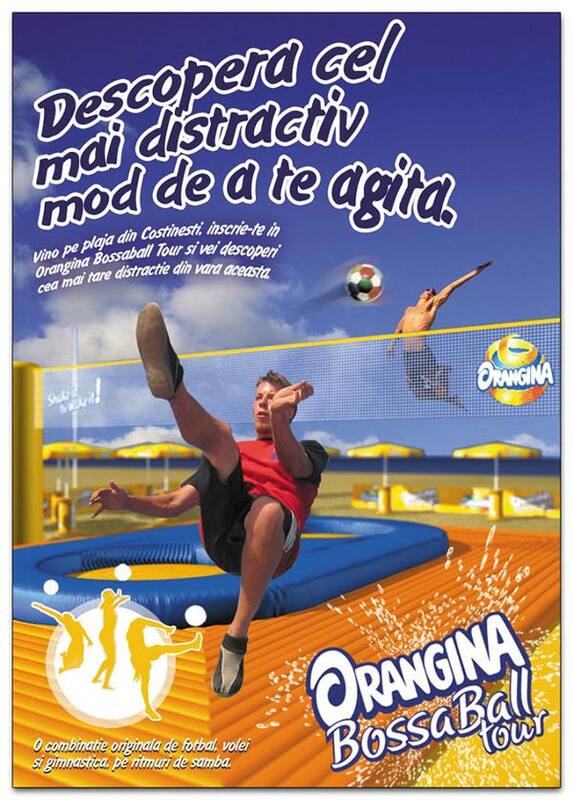 Orangina and Bossaball set up a tour during July and August 2007 on the beaches of Costinesti, a popular seaside resort in Romania. Locals spending their holidays on the seaside were able to experience the spectacular mix of volleyball, soccer, gymnastics and samba rhythms, which Bossaball involves, in the Costinesti resort on the coast of the Black Sea. Orangina, the only carbonated orange drink in Romania, offered to its consumers surely a memorable beverage brand activation. 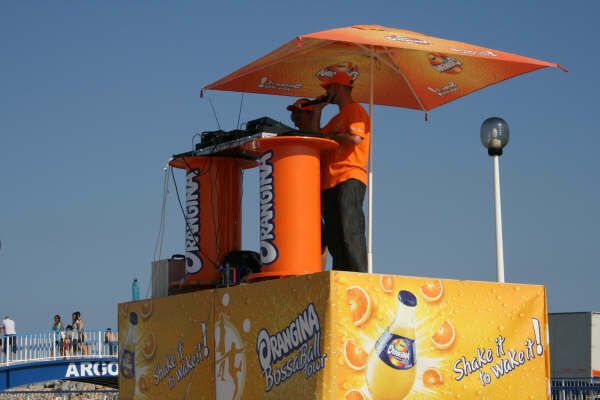 The Orangina Bossaball Tour was part of the image campaign for the same brand, having the “shake it!” integrator concept. The private message sent this time is “Discover the most fun way to shake!”. “The fact that Orangina has launched Bossaball in Romania is no accident at all. 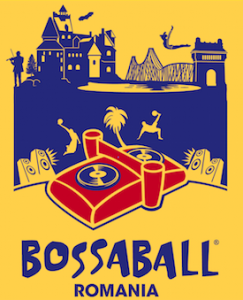 Bossaball is certainly the ideal game for Orangina brand lovers, whose defining features are: lust for life, the fact that they are always looking for new experiences and have an active lifestyle. Thus, throughout the summer, Romanians who will be on the Black Sea coast will have the most fun way to “shake” in the spirit of Orangina, “says Catalin Ignat, Marketing Vice President URBB and Carlsrom Beverage. Carlsrom Beverages, in cooperation with Tempo Advertising, launched the beverage brand activation for the Orangina brand. The campaign also included PR event activities and an advertising campaign. This was accompanied by an informative radio spot on Radio Kiss FM, press releases in Seven Seri and promotional items at the venue: posters, neck ringer, booklets and flyers. In addition to these elements, the campaign also had an online component by creating an interactive portal http://www.orangina-bossaball.ro. The debut took place with a spectacular Bossaball match played by the Bossaball team of Romania, led by gymnast Marius Urzică, a three-time World Champion (2001-2002) and Olympic gold medal winner, along with the Belgian trainers who came for this occasion. Measuring the coverage of the events in this beverage brand activation, Ignat also said he expected the communication project to reach 200,000-300,000 people during the 2 months of the campaign. The event was widely covered in the press with features in Bursa, AD Players, Jurnalul, 9am and Business24. Orangina is an international product present in 63 countries of the world. The Orangina recipe dates back to 1936 when a Spaniard named Trigo first combined mineral water with pulp juices in a recipe whose secret is preserved until today. In 1951, Orangina was launched in France, where it now owns 45% of the segment it operates in. A total of 25 factories around the world annually produce 300 million liters of Orangina.